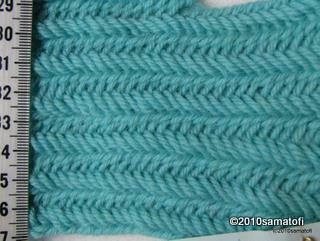 In Finland this stitch type has been used especially in the South East and Carelia. Samples in the NBA ethnology collection, labels 9616:3, 2+2+p F1, and 9461:4, 2+2+p F2. Used also in Joutseno at least in 1930's and after that (personal communication 7/2011). You can read more about the Finnish Turning Stitches on page Stitch Grouping by Toini-Inkeri Kaukonen (link).